My other top dressed for Sunday night’s Golden Globe Awards should be no surprise to my regular readers. 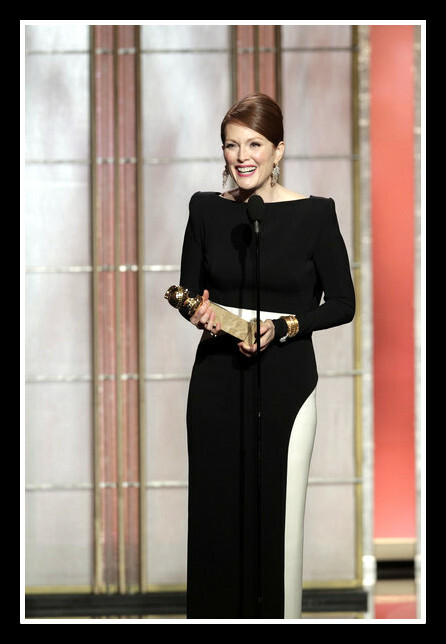 It was Julianne Moore in Tom Ford. When it comes to fashion friendships, these two are tops. When Tom got an email with the subject line “From Julie”, he whipped up this black and white beauty. As Moore told zillions watching at home how she “asked Tom to make me a dress”, at least half a zillion of us had our knees melt. Moore is no stranger to looking spectacular, no matter whose name graces her gown. Her grace has truly become a spectator sport. 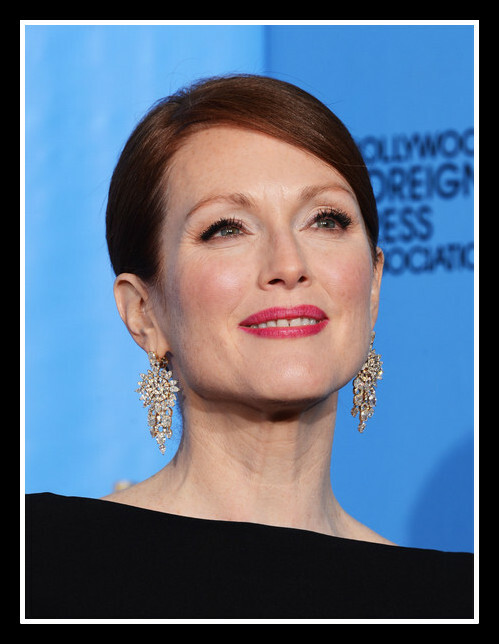 All of us should age at least half as gracefully as she. And…all of us should have a friend like Tom Ford. 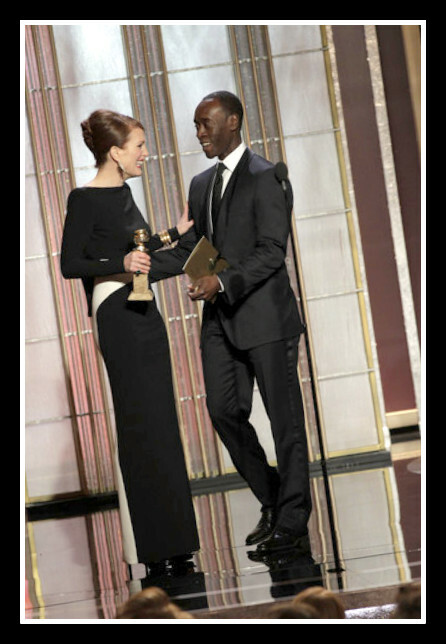 Well, it seems Tom dressed a whole lot of men the night of the Globes. I’ll have those photos, along with more observations in the coming days. 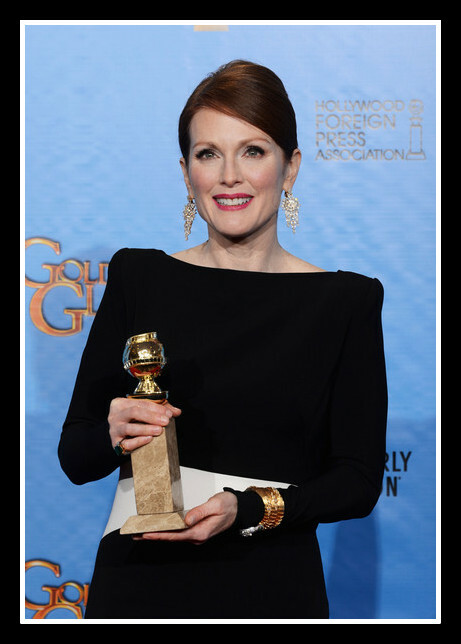 Keep up to date with all Golden Globes 2013 posts. All photos courtesy of Getty Images North America, by individual photographers, as noted.